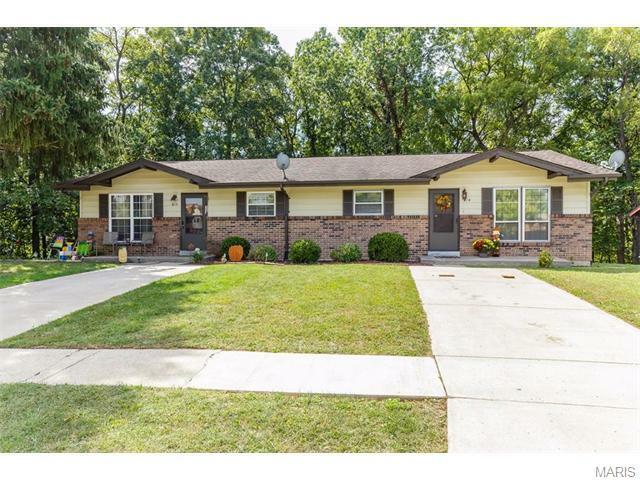 617 Red Oak O Fallon, MO. | MLS# 15041174 | Homes for Sale in St Charles, St Louis, Lincoln and Warren Counties! Looking for a Free Foreclosure List? Call Cheri Peterson 314-283-7251 Our Team is on the Leading Edge when it comes to Technology! Back on the market. Contract fell thru no fault of the Seller. 617 is Occupied Please do not bother the tenants. Great Investment Opportunity. 2 Bedrooms each side 1 Bath and Full Basements. Total Electric no Gas. Great Location Architectural Roof. Brick and Vinyl Siding. Decks on both sides These affordable Investment properties don't last long. Come make the Discovery. Stoves stay & Dishwashers. Newer Carpet in Unit 617. Call agent for details.619 Freshly painted updated flooring, move in condition. New pictures...check out this nicely updated Gem.